MTech Assisted Opening Punisher US Flag Pocket Knife - 3Cr13 Steel Blade, Aluminum Handle, Pocket Clip - 4 3/4” Closed | BUDK.com - Knives & Swords At The Lowest Prices! 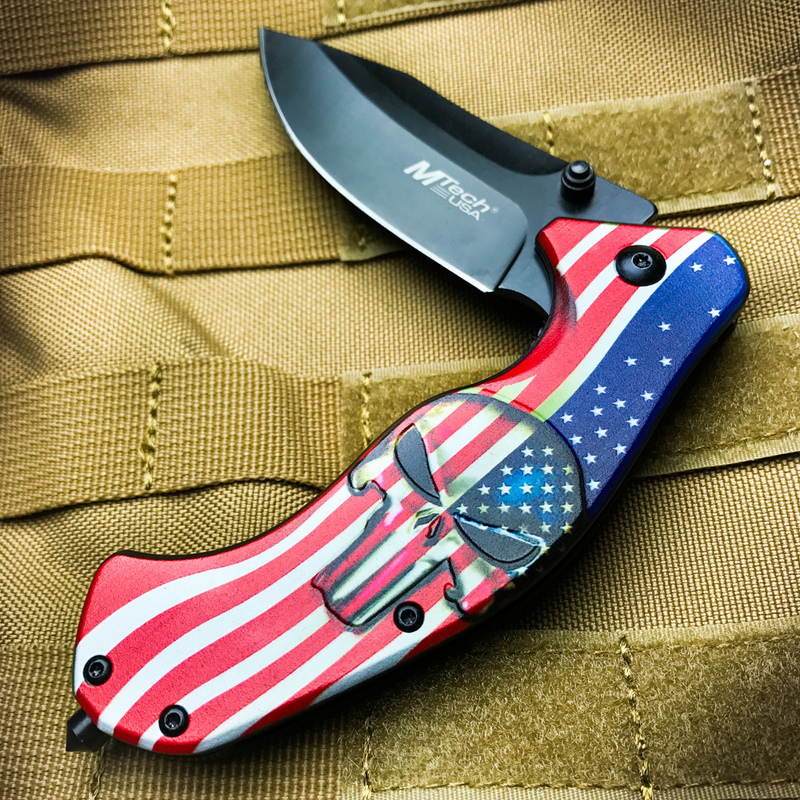 Two iconic symbols were united in the design of MTech’s Assisted Opening Punisher US Flag Pocket Knife to create a bold, collectible statement piece. 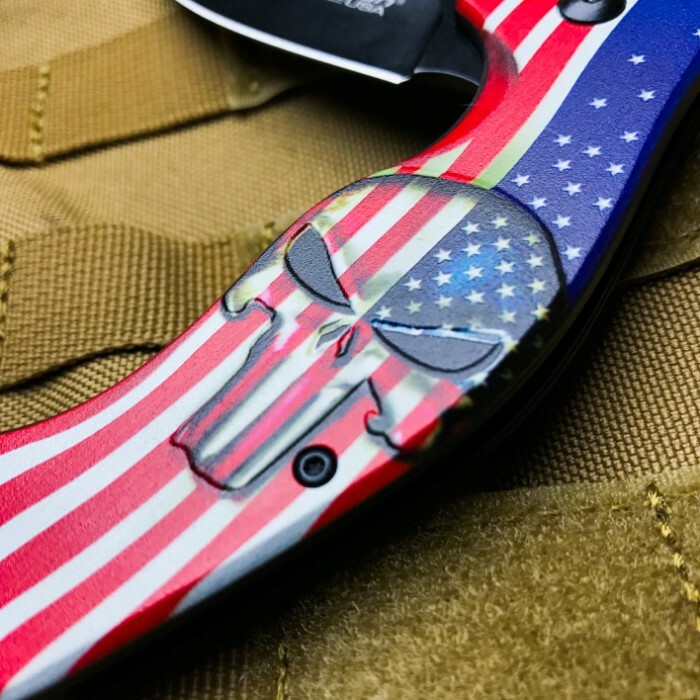 The aluminum handle has a 3D looking Punisher Skull, which seems to jump right off the vivid red, white and blue American Flag background. 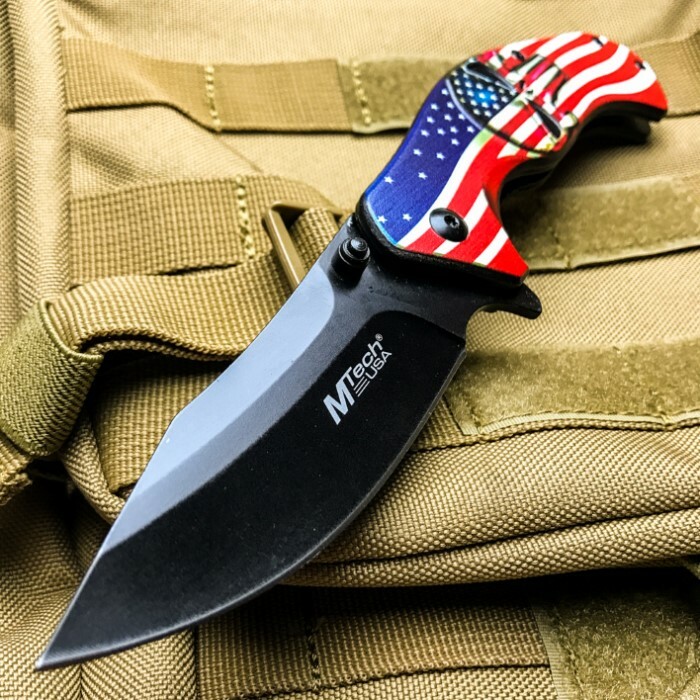 The sharp, 3 1/4” black 3Cr13 stainless steel blade contrasts handsomely with the bright color scheme of the handle. The blade can be rapidly deployed using the thumbstud to activate the assisted opening mechanism. 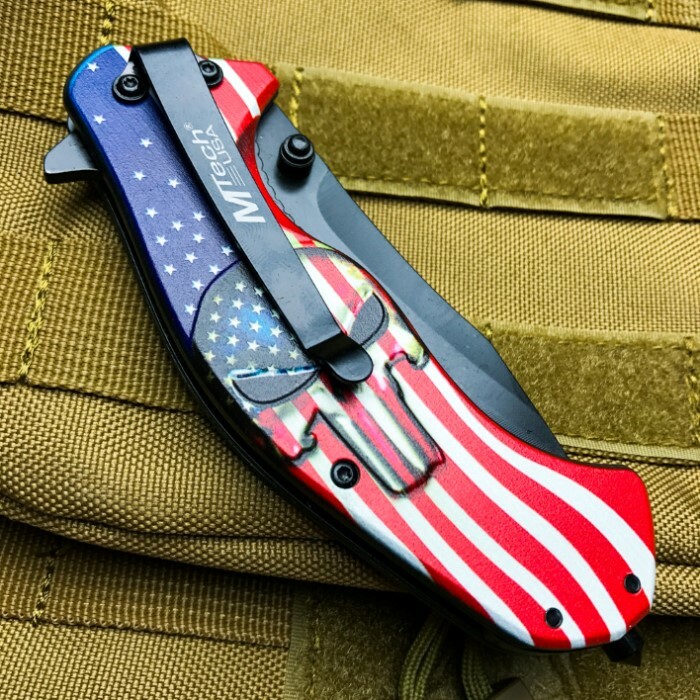 A sturdy black pocket clip and integrated glass breaker complete the look and functionality of this awesome display and everyday carry pocket knife.